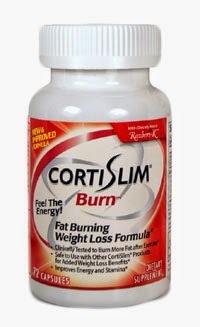 CortiSLIM Burn with raspberry keytones is an advanced fat burning weight loss formula that is designed to safely burn more fat, when used with a healthy diet and exercise routine. It's thermogenic action helps burn fat, increase your energy during the day, and reduce production of damaging free radicals in your body. This product contains Bioactive Burn Matrix, which contains Razberi-K, this helps burn more fat after exercise. 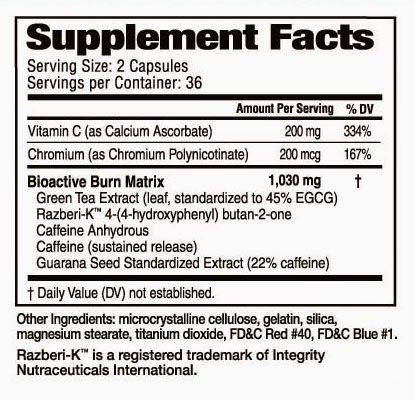 The Bioactive Burn Matrix provides a fat burning one-two punch with it's blend of green tea and caffeine. Studies have shown that this combination to increase energy all day long, while burning up to 35% of fat Vs. a placebo. Barry had the chance to give these a try and used them as directed this past week. He took 2 capsules in the morning after his work out and with his morning breakfast. They actually had a really great raspberry taste to them. He found that this product did increase his energy level during the day and decreased his appetite during those long afternoon hours at work.